Soft grip handles. Single handed operation. Soft pivoting jaws to protect work piece. Caulking gun type mechanism, no ratchet teeth. 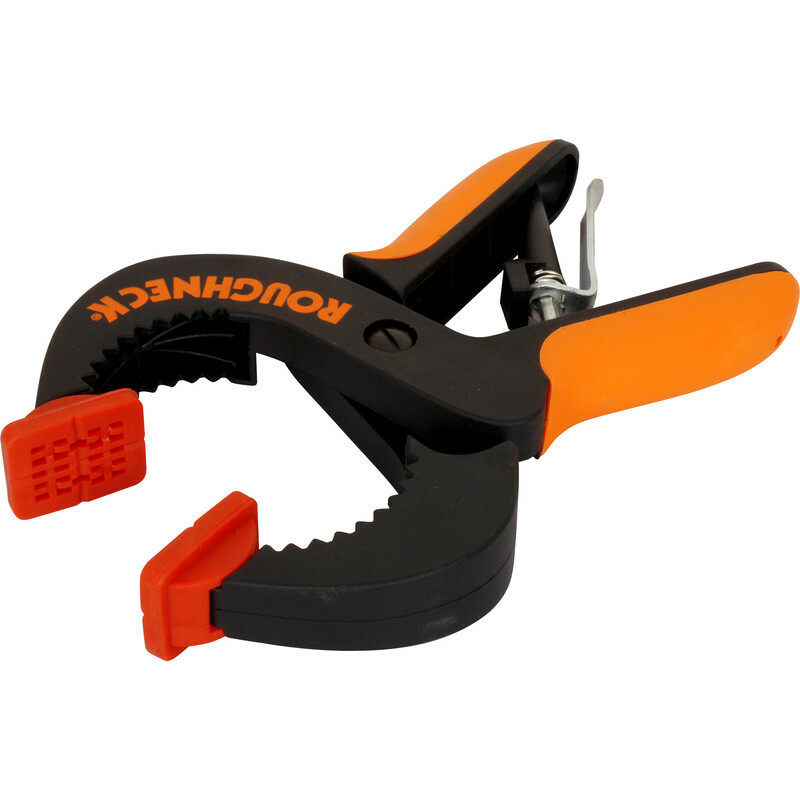 Roughneck Nylon Ratcheting Clamp 50mm is rated 5.0 out of 5 by 1. Rated 5 out of 5 by Sirfixalot from Nice n clampy! Needed to clamp stuff. Bought this clamp. Now the stuff is clamped. What's not to like!